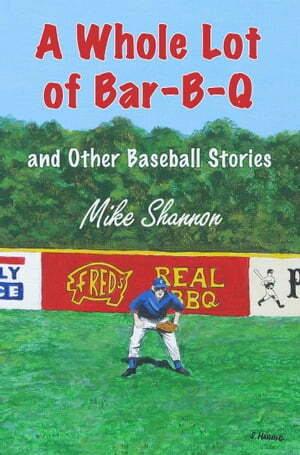 Collins Booksellers - A Whole Lot of Bar-B-Q, and Other Baseball Stories by Mike Shannon, 9781938545160. Buy this book online. Few authors live, understand, and can express the magic of baseball like Mike Shannon, editor of SPITBALL, The Literary Baseball Magazine, now in its 33rd year of publication. Shannon’s characters are mortals who drink the elixir of baseball against the finiteness of their lives. They are as different as bleacher creatures and a luxury box-ers, though the same spirit of the magical game pumps from the hearts and through the veins of every one of them. Mike Shannon is author of 16 baseball books, including several from the highly popular “Tales from the Dugout” Series, as well as DIAMOND CLASSICS, the definitive reference on the greatest baseball books ever written. "A charming, inventive collection, soaked with the nuances of the game and rendered with the passion of a baseball lifer. You get to know a cashew-chewing little leaguer and a pie-in-the sky independent team owner, and Shannon also draws from real figures (a ride in a train with Jackie Robinson) and real milieus (a love encounter in the Wrigley bleachers). There’s a good time to be had in these stories, delivered with bounce and, inevitably, a few zinging surprises."